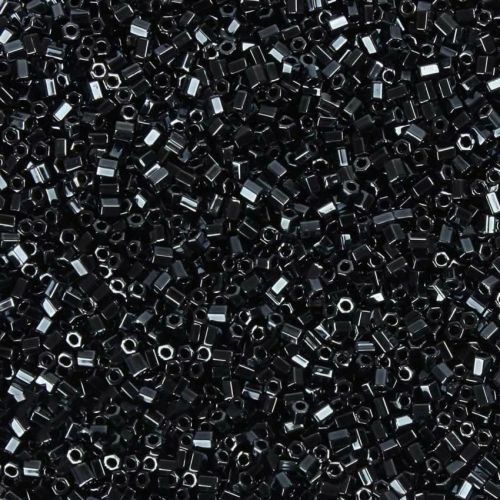 Beads Miyuki hex 2-cut size 11 metallic black.These 11/0 hex 2-cut beads are true size (1.7x1.9mm) and are larger than Delica 11/0 beads, making them closer to a 12/0 size. The beads have square ends and are consistent in their size and colour. They are in a lovely metallic black colour and are perfect for a range of beadwork. CommentSmall masculine, unusual seed beads.